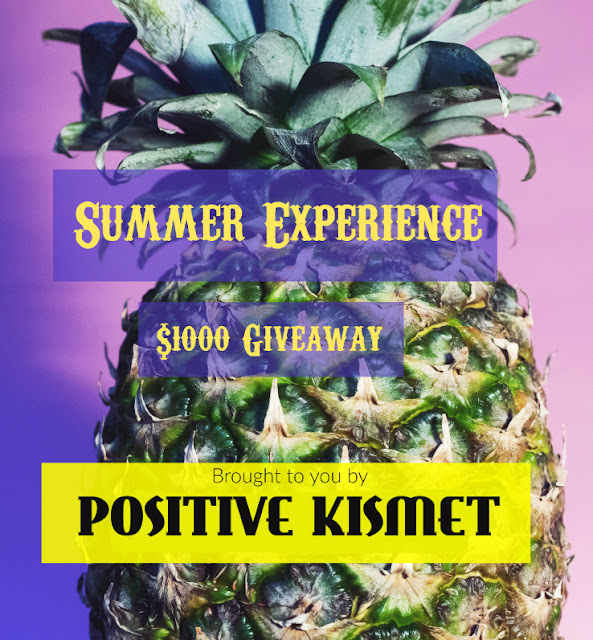 Welcome to the Summer Experience $1000 Giveaway! Summer is just around the corner and we'd love to give two lucky winners a chance to celebrate the warm weather with a big $500 shopping/outing experience. If YOU win, you get to choose! That would be fabulous, no? I am so excited to be on board as a co-host. The reason for this giveaway is to give a wonderful summer experience to our readers. Thanks to a terrific team of participating bloggers, we will be giving away the choice of a $500 PayPal cash reward or Amazon Gift Card to two lucky readers! You have to enter to win. To learn more, read the rules below and then enter through the Rafflecopter. It's that easy. I look forward to hearing your name announced at the end of this giveaway run on July 21st. GOOD LUCK! Outside United States, prize will be cash-equivalent only in US dollars. Sweepstakes ends July 21st at 11:59pm ET. Winner will have 48 hours to respond before a new winner is drawn. FullLivesReviews is responsible for prize fulfillment. Must be 21 years or older to enter giveaway form. Entering this giveaway means you agree to the terms above. Again, this giveaway starts at 6PM EST on 5/10/16 and ends on 7/21/16. You must be 21 years or older to enter and both winners will be chosen by Rafflecopter/Random.org within seven (7) days after the Giveaway ends. The Winners will be notified via the email they logged into Rafflecopter with and will have 48 hours to respond & claim their $500 prize or it will be forfeited and a new winner drawn. FullLivesReviews.com has the right to withdraw any entries that are not completed correctly, so please make sure you are entering the verification correctly. Disclosure: This blog and any participating blogs did not receive monetary compensation or product for this giveaway. This sweepstakes is not administered, sponsored, endorsed by, or associated with Facebook, Twitter, Google, Pinterest or other social media outlets. 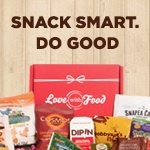 Prize fulfillment will be handled by FullLivesReviews.com. Disclosure of Material Connection: I have not received any compensation for writing this post. I have no material connection to the brands, products, or services mentioned. I am disclosing this in accordance with the Federal Trade Commission's 16 CFR, Part 255: "Guides Concerning the Use of Endorsements and Testimonials in Advertising." If you have any questions, please leave me a comment. I would love to hear from you. Thank You! PHOTO CREDITS/ATTRIBUTIONS: All Photographs: Images via FullLivesReviews.com. 1.Keep Your Vision in Front of You - Dare to dream big dreams. 2.Run Your Race - Focus on your unique course and goals. 3.Expect Good Things - Anticipate great opportunities. Are You In-step with Your Goals or Vision for the Year? Time does fly by very quickly and, before we know it, the holiday season will soon be upon us. I bet some of us are wondering how the year got away from us so fast. I was speaking with a friend today and she said: "I feel like I blinked and January turned to October!" True. It's been a hectic year for me both offline and on ... and quite a while since I posted on this blog. I'm a bit shocked at how time seemingly flew by. 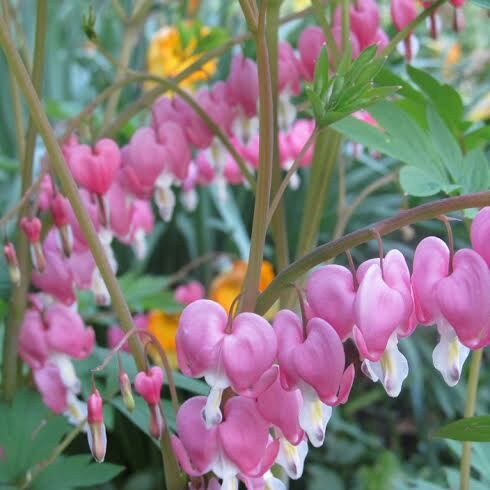 I must admit that life, its demands, and blogging on Mirth and Motivation sidelined this blog and got the better of me. I'm delighted to be back to add another post. How has the year transpired for you? Today, I reached for a book by one of my favorite motivational, inspirational ministers/teachers and got inspired all over again. One of the joys of blogging is that we can always pick up where we left off and reconnect with our readership. Thankfully, Joel Osteen's book: You Can, You Will: 8 Undeniable Qualities Of A Winner, got me thinking about staying motivated and doing the work we need to do; even after an extended break. 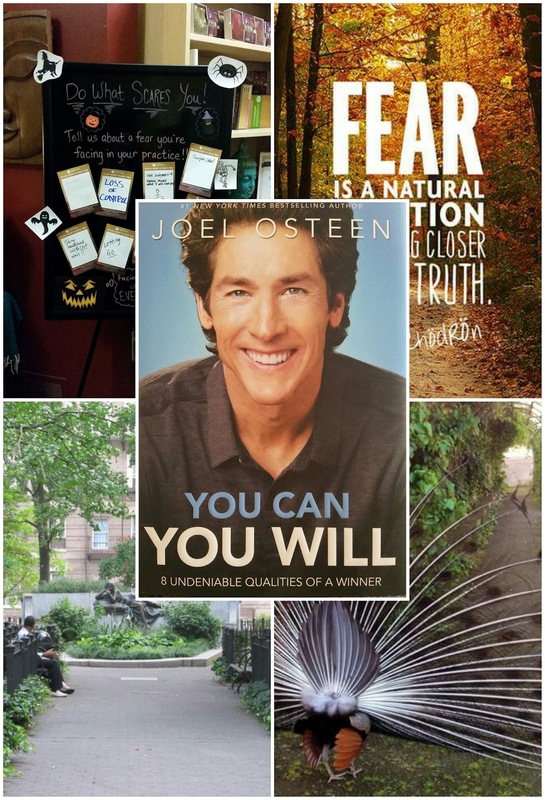 What I love about Joel and this book is the common sense wisdom shared in each undeniable quality he identifies. Unless we have a clear vision coupled with action, expectation, and a positive attitude, it's easy to fall back and give up. Run your race and, even if you pause to look around and meet other callings, get right back on track and do the work you need to do. Are you a big fan of summer desserts and treats? Do you enjoy making them? I do. When I think of summer time, the first memory that pops up is of eating exquisite frozen fruit treats and delicious ice cream from the ice cream truck. For many folks, some of the best summer memories are of sitting outside or at the beach, with family, enjoying an ice cream cone or a delicious fruit Popsicle. We gather to enjoy each others company and share some good food; especially desserts. While summer vacation might be ending soon, the summer season is still in full bloom, and there's still time to make some of your favorite homemade ice cream with seasonal fruits of your choice! Budget Earth and some of our favorite bloggers want to help one of our readers create some special, last minute summer treats and memories. How? They are joining forces to bring you this fantastic giveaway! 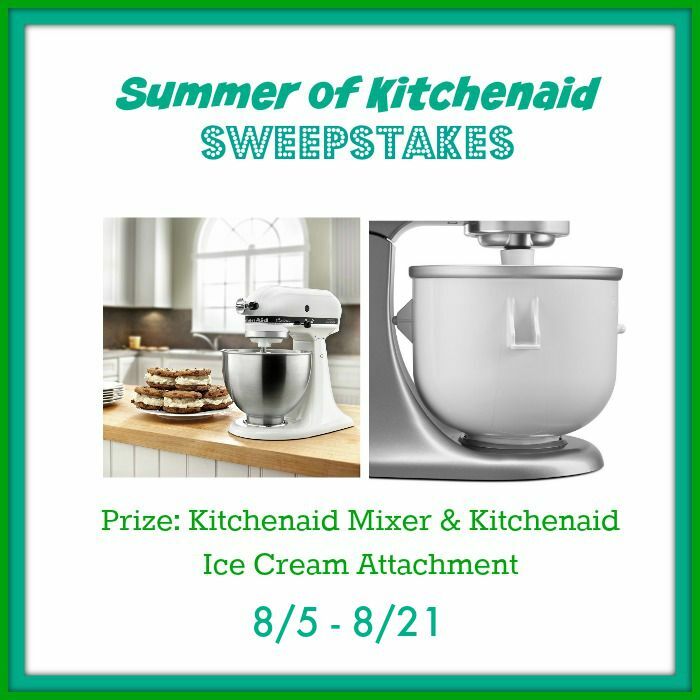 One very lucky reader will be the winner of a KitchenAid Stand Mixer and official KitchenAid Stand Mixer Ice Cream attachment. Isn't that exciting? That reader could be YOU! But, you have to enter to win. To learn more, read the rules below and then enter through the Rafflecopter. It's that easy. I look forward to hearing your name announced at the end of this giveaway run on August 21st. GOOD LUCK! One lucky reader will win a KitchenAid Stand Mixer & Ice Cream Attachment. Sweepstakes ends August 21st at 11:59pm ET. Disclosure: This blog and any participating blogs did not receive monetary compensation or product for this giveaway. This sweepstakes is not administered, sponsored, endorsed by, or associated with Facebook, Twitter, Google, Pinterest or other social media outlets. Prize fulfillment will be handled by Budget Earth. Would you like to have your products featured in a giveaway event? Want to increase your social media exposure? Contact susan.l.bewley@gmail.com to see how I can help YOUR company today! PHOTO CREDITS/ATTRIBUTIONS: All Photographs: Images via Budget Earth! DID YOU KNOW...?1. Your shoes are the first things people subconsciously notice about you. Wear nice and decent shoes. 2. If you sit for more than 11 hours a day, there's a 50% chance that it will make you severely sick in two years. 3. There are at least six people in the world who look exactly like you. There's a 9% chance that you'll meet one of them in your lifetime. 4. Sleeping without a pillow reduces back pain and keeps your spine stronger. 5. A person's height is determined by their father, and their weight is determined by their mother. I was reading some posts on a friend's Facebook page when I came across this list of nineteen (19) Did-You-Know facts? I was so taken by them that I had to share them with you. We can live consciously and in awe of the magnificence of the universe we inhabit or we can remain blinded by worry. 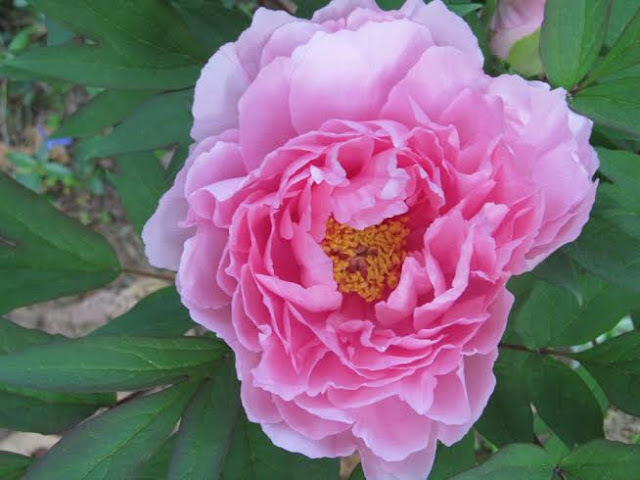 We can work to maintain our health or worry ourselves to death. Worry won't change a thing. Information can and will. 6. If a part of your body "falls asleep", you can almost always "wake it up" by shaking your head. 7. There are three things the human brain cannot resist noticing: food, attractive people and danger. 8. Right-handed people tend to chew food on their right side. 9. Putting dry tea bags in gym bags or smelly shoes will absorb the unpleasant odour. 10. According to Albert Einstein, if honey bees were to disappear from the earth, humans would be dead within four years. I was quite impressed by the fact that honey bees add more to our livelihood than we ever consider. 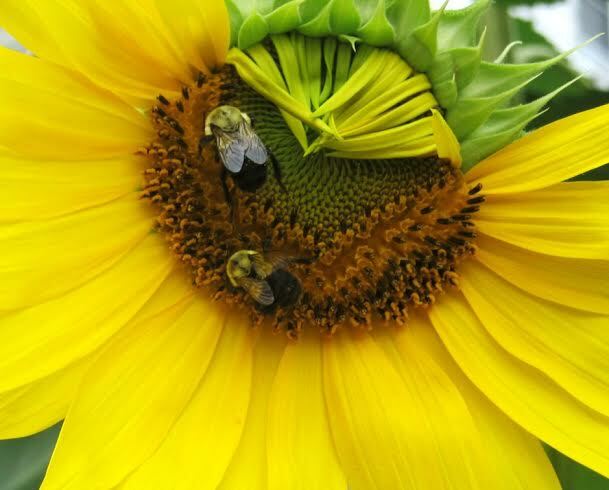 The pollination work they do, helps seeds and plants flourish and grow, and they feed us in so many ways. When was the last time you gave those bees much thought? 11. There are so many kinds of apples that if you ate a new one everyday it would take over 20 years to try them all. 12. You can survive for weeks without eating, but you will only live 11 days without sleeping. 13. People who laugh a lot are healthier than those who don't. 14. Laziness and inactivity kill just as many people as smoking. 15. A human brain has the capacity to store five times as much information as Wikipedia. I love apples and have always been a member of the "An apple a day keeps the doctor away" club. I had no idea that we had enough varieties to keep us munching for the next 20 years. Who knew? This confirms what I've always known, and still believe, that we live in an abundant world with enough to go around... We just need to learn to share more. Fashion for Mom Sweepstakes - Enter To Win! Are you looking for a high quality purse that is stylish, durable and functional? If so, you'd love Hedgren purses, especially the Hedgren Leah Tote. 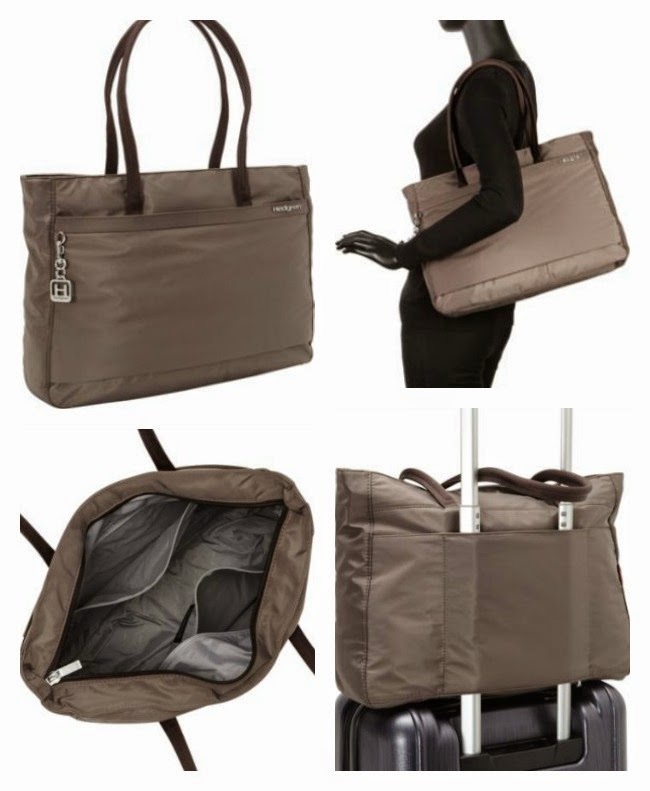 Hedgren is a popular European bag company that is now available in the United States. They have a large variety of totes, colorful handbags, and even cool luggage to make sure a girl has everything she needs to be stylish at anytime and anywhere! Hedgren bags are designed to be both stylish and functional,and are all made from their signature Nylon material that comes in a range of different colors and styles. If you're trying to find an amazing everyday bag for yourself or as a gift for special someone, we think you will adore the Hedgren Leah Tote. The tote is perfect for anyone on the go. It features a zip top, front zip pocket, back pockets, and long handles for carrying lots of your favorite things. It's a great carry-all bag for ladies who need bags with lots of space inside. For the busy traveler, it offers a nice compartment that opens easily, slides over the extendable handle of your suitcase and allows you to keep your purse safe and your hands free. This is a great feature that helps you focus on other business or family travel needs; especially holding little hands!. 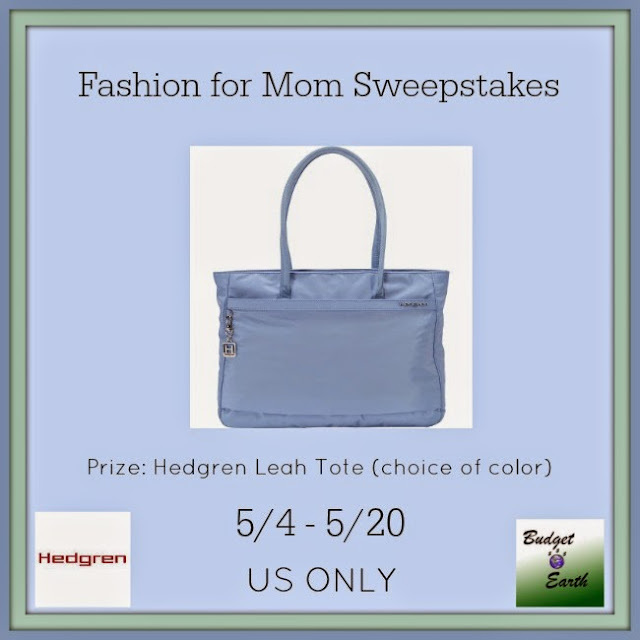 To learn more, make sure to check out Budget Earth's Hedgren Leah Tote Review. Now that we got you interested, wouldn't you want to win this beautiful purse for yourself or someone you know? Budget Earth is excited to be working with Hedgren on this awesome giveaway! One very lucky reader will win a Hedgren Leah Tote in their choice of color. To learn more, make sure to read the rules below and then enter through the Rafflecopter. Disclosure of Material Connection:I have not received any compensation for writing this post. I have no material connection to the brands, products, or services mentioned. I am disclosing this in accordance with the Federal Trade Commission's>16 CFR, Part 255: "Guides Concerning the Use of Endorsements and Testimonials in Advertising."